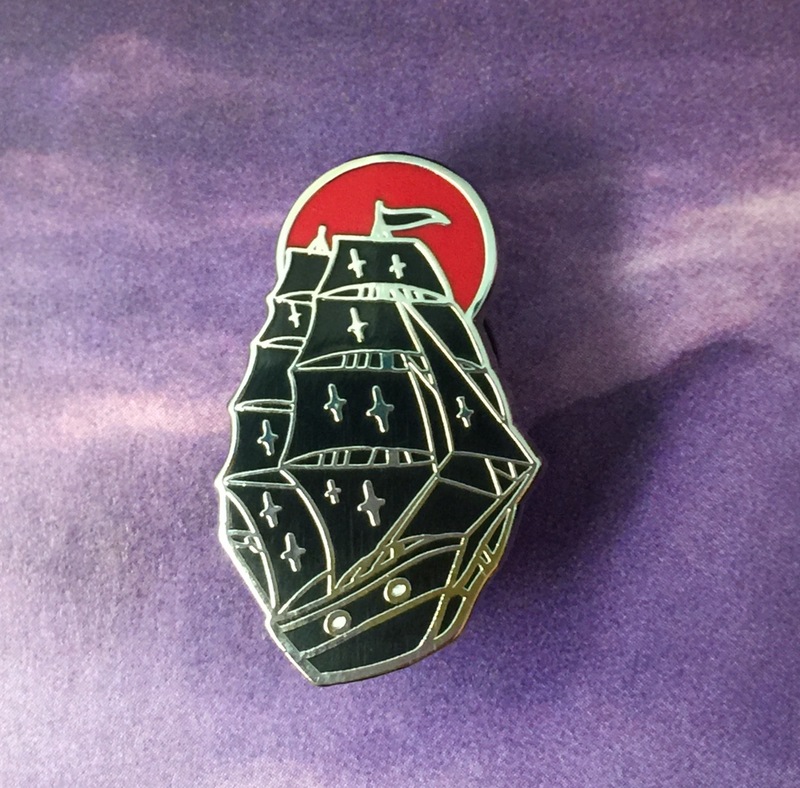 These 1", hard enamel pins have tons of beautiful detail. Maybe it's a pirate ship? 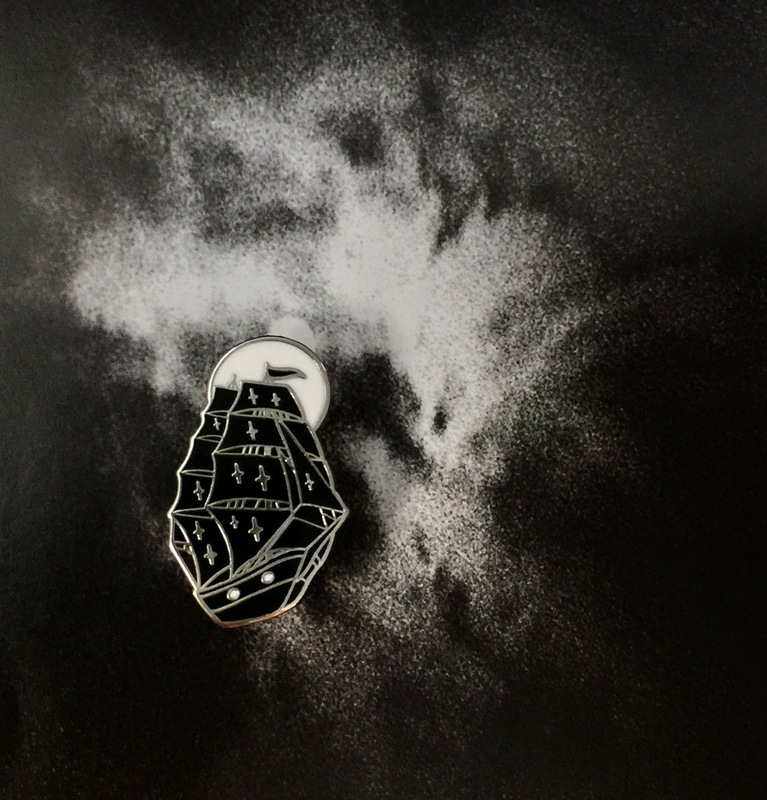 Maybe just a ship flying through space? 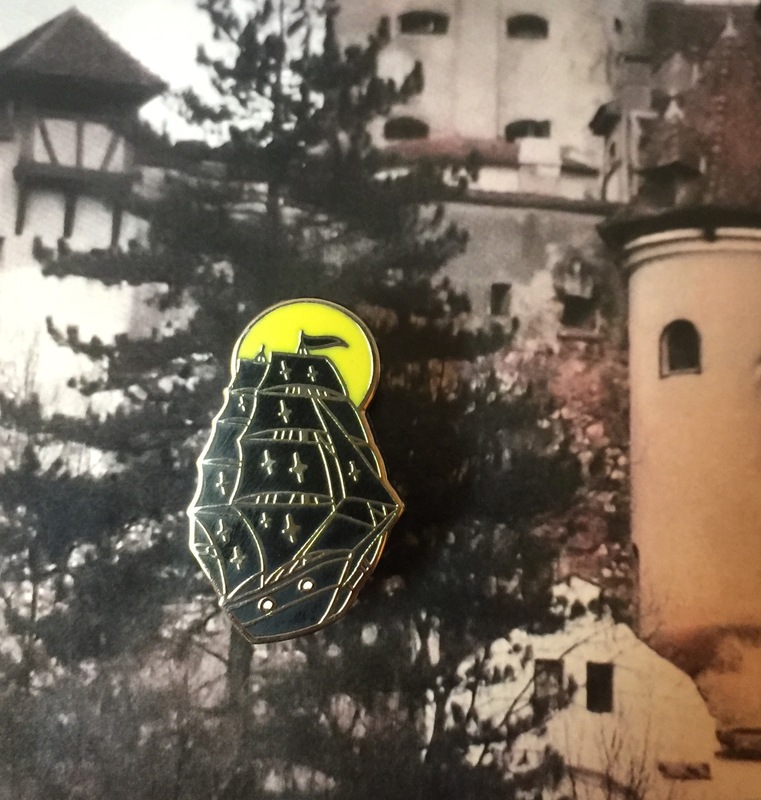 This pin was originally made with the ship sailing under a white moon. 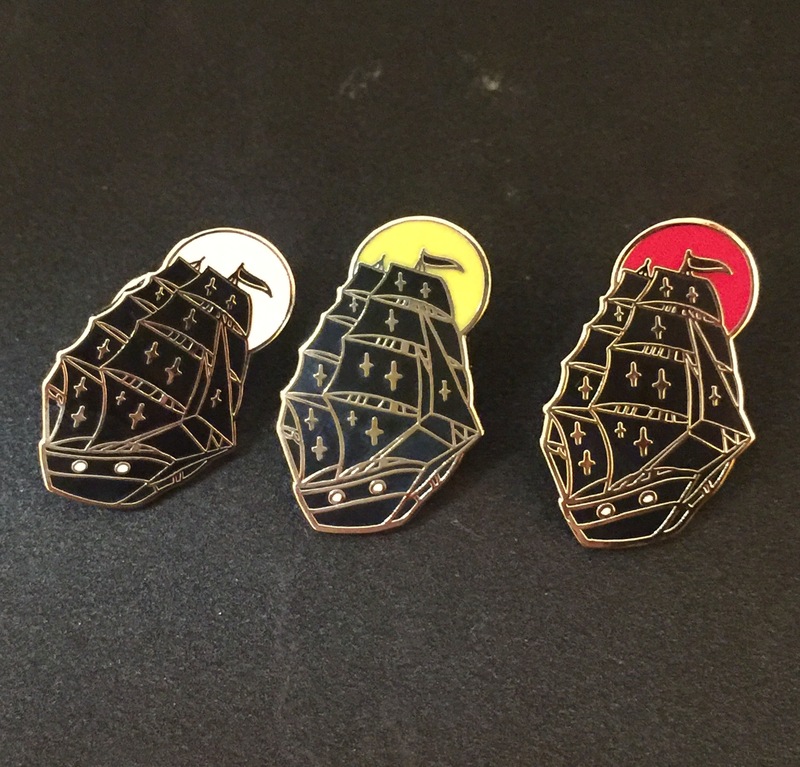 We are happy to have the white moon in stock, along with two other more rare variants the red and the yellow moon, which can also look like the setting sun.